The amenities in the hotel include a fitness centre, 7,000 square feet of meeting and event space, and an ultra sleek bar and lounge serving tapas called Vbar. There is also Citrus, the hotel’s in-house restaurant which serves an eclectic menu with a Texan flair. Offerings at Citrus included inventive creations such as foie gras “mille crepe” ($18), a foie gras terrine layered with slices of crepe and served with compressed strawberries, celery and banana. It was an unusual combination – a dish that shouldn’t have worked – but somehow the strawberries came together well with the foie gras as they weren’t too sweet. 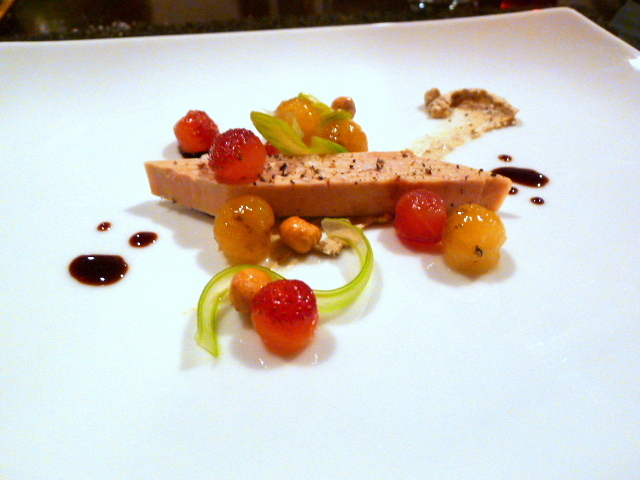 The banana was however at odds with the foie gras, but nevertheless this was an interesting dish to try. 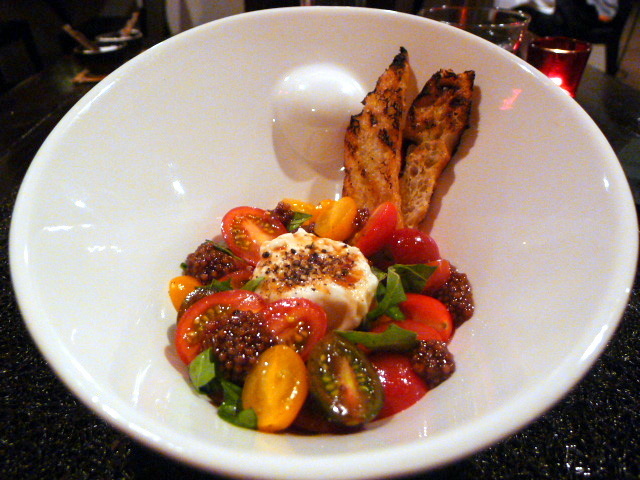 There were also a variety of salads including a baby heirloom tomato salad with burrata ($11) which was lovely. The heirloom tomatoes were beautifully sweet and fresh and a pickled mustard seed dressing made for a lovely accompaniment, as did the basil, mint and crunchy toasted focaccia. In Texas they love their rubs, (think BBQ), and here a 12oz grilled veal T-bone ($52) had been coated with chimichurri which provided an exciting contrast against the tasty and well cooked T-bone. A Yukon gold potato mousseline was a delight to eat with its beautifully creamy texture, and rounding off the dish were some glazed carrots, radicchio and an accomplished bone marrow bordelaise. Desserts also included some interesting options such as a lemon curd with a pie crust topping and toasted marshmallows ($8). 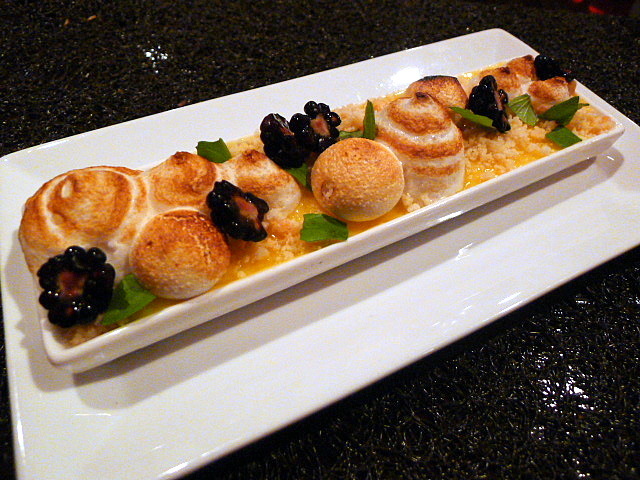 Essentially a deconstructed lemon meringue pie, this was tasty and zingy if a little sweet. 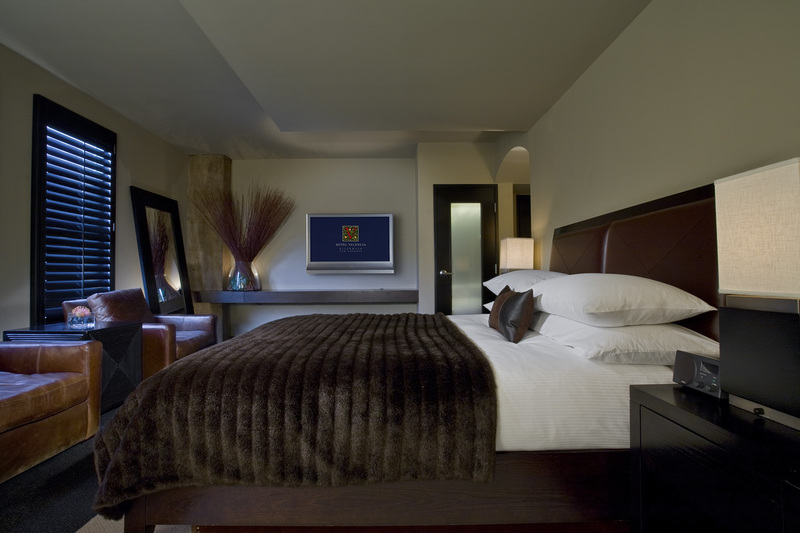 Urban, luxurious and incredibly comfortable, the Hotel Valencia Riverwalk was ideal for the sophisticated traveller or the discerning businessperson. There was timelessness in the Hotel’s beautiful modern design that gave it a sense of uniqueness. The food at Citrus was also delicious and the hotel was well positioned for all the highlights of the lovely city of San Antonio. 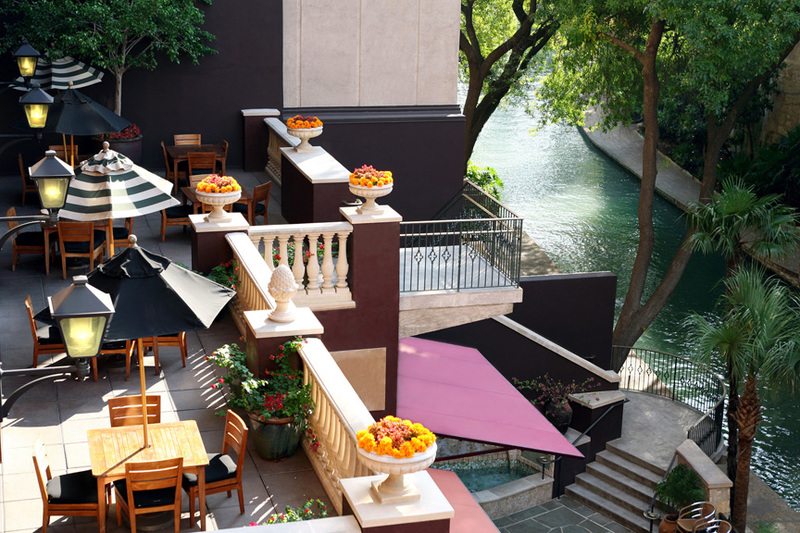 Hotel Valencia Riverwalk is a fantastic hotel option for those visiting San Antonio. 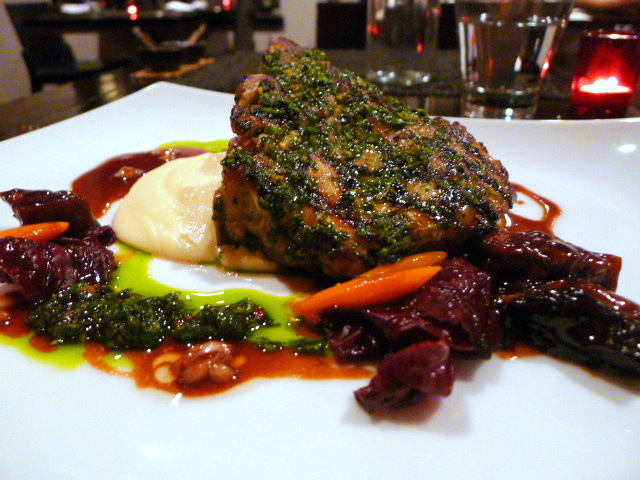 Prices: $41 to $78 for three courses, excludes taxes, drinks and service.